Above: An initial trajectory of the Phobos-Grunt spacecraft including its first three orbits and the escape path toward Mars. Thick lines show periods during engine firings (red in daylight; black - in the shadow); green numbers indicate distance from the Earth surface in kilometers; green circles show the range of Russian ground control stations (left to right) in Shelkovo (Medvezhi Ozera) near Moscow (left), in Baikonur (center) and in Ussuriysk (Far East)(right). Shaded areas show the position of the Earth's shadow during the first (right) and second (left) engine burn. During an uphill battle to establish contact with a troubled Phobos-Grunt spacecraft, huge challenges to Russian ground control became much more apparent. Below is a summary of Russian ground assets relevant to the Phobos-Grunt project and their status at the time of the ill-fated mission, based on Russian sources and reports on the Novosti Kosmonavtiki web forum. First of all, a pair of massive deep-space antennas -- P-2500 in Ussurisk (in the Russian Far East) and Medvezhi Ozera (Town of Shelkovo, near Moscow) with a diameter of 64 and 70 meters turned out to be virtually useless at short distance, since the spacecraft in the low Earth orbit had been crossing their narrow field of view within a fraction of a second. Giant antenna’s bulky guiding mechanisms were designed to track spacecraft in deep space slowly moving across the sky and would simply unable to keep up with a fast-moving object in low orbit. 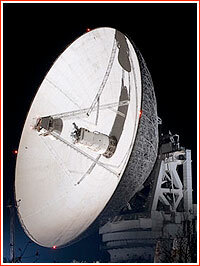 In addition, a large RT-70 antenna in Yevpatoria in the Crimean Peninsula, Ukraine, a part of the Kvant-D complex, was upgraded to receive telemetry from Phobos-Grunt heading into deep-space, however the facility would be powerless to follow the spacecraft in the low Earth orbit, let alone transmit commands to the probe. Therefore, the only remaining systems capable of transmitting in an X-band range of spectrum, which was compatible with Phobos-Grunt’s unique long-range communications gear, would be two Spektr-Iks telemetry stations deployed at the IP-5 facility at Site 23 in Baikonur and in Ussurisk in the Russian Far East. A rotating mechanism of this 12-meter antenna (previously used for the Svyaznik facility supporting Molniya communications satellites) had a faster rotating mechanism. Also, the latest highly sensitive hardware at Spektr-Iks, promised to enable the control of deep-space probes up to a distance of several million kilometers in the first two weeks of the mission. However, even for Spektr-Iks antennas, Phobos-Grunt's low orbit made a task of tracking the spacecraft very difficult leaving no more than seven minutes to controllers during each pass within range of a particular station. A fast movement of the spacecraft was causing a significant Doppler shift in the signal, preventing the establishment of a high-volume communication between the spacecraft and ground control. Therefore, soon after a botched attempt to send the spacecraft away from Earth, specialists started efforts to adapt the operation of the antennas for the unforeseen task of communicating with the spacecraft in such a low Earth orbit. The antenna's narrow field of view was widened to 30 degrees and the power of the transmitter reduced. Similar adjustments were made at ESA facilities involved in the project. However, the task of re-uploading the software onboard a fast-moving spacecraft could be challenging even if it was fully responsive. Moreover, Spektr-Iks was hastily activated in Baikonur on the eve of the Phobos-Grunt launch and the personnel at the facility reportedly had little or no time to practice its operations and test all systems. 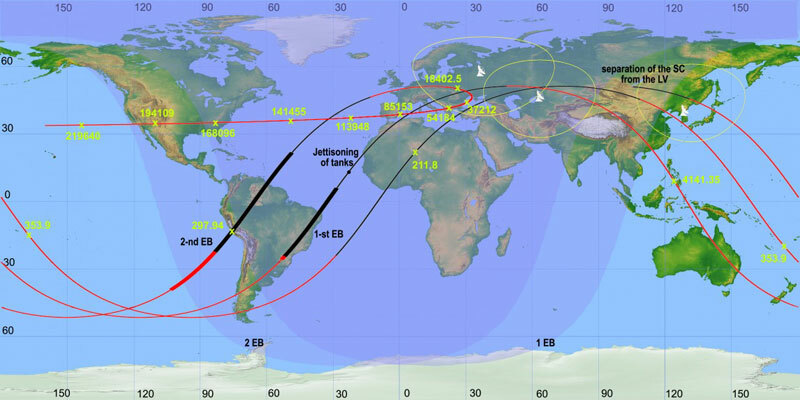 As soon as stricken Phobos-Grunt appeared over Baikonur, Skeptr-Iks operators immediately started sending commands to activate Phobos-Grunt's onboard RPT111 transmitter and the RDM radio beacon -- which could be detected and precisely tracked by the Kama-N trajectory measurement system, however nothing was heard from the devices, according to trajectory tracking experts. Ground controllers in Baikonur complained that they had received little or no info from NPO Lavochkin, the spacecraft developer, on where and when to track the spacecraft. NPO Lavochkin’s officials reportedly were sending vague and inconsistent requests for the location of the spacecraft and then complaining that their demands could not be met. In the meantime, the Kub-Kontur command and control system (located at IP-1 station at Site-18 in Baikonur), which could benefit the effort, had remained out of commission at the time of the Phobos-Grunt launch and its repairs following post-Soviet neglect had still been in initial stages. 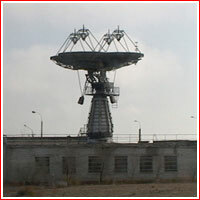 In the first two nights of the Phobos-Grunt crisis, a Romashka (Daisy) antenna, a component of the RTS-9 telemetry system at IP-1 site in Baikonur, reportedly had to search for the spacecraft practically without any navigational data and only by the third night received some guidance on where to look. Romashka was designed to receive telemetry from low-orbiting spacecraft, including Soyuz missions, flying as low as 200 kilometers overhead. In addition to the Russian facilities, ground stations from ESTRACK network of the European Space Agency, ESA, and French Space Agency, CNES, in Kourou and in Pert, Australia, were quickly involved into the effort to track Phobos-Grunt. Roskosmos reportedly provided its European partners with orbital parameters of Phobos-Grunt for the purpose of guiding the antennas, as well as with software code, which had to be transmitted onboard. Attempts to listen to the spacecraft and to transmit commands onboard started as early as November 10 and continued almost daily without success until November 23. 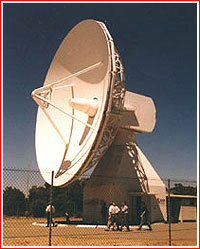 It was the ground station in Perth which succeeded in receiving first carrier signal from the spacecraft. The facility was equipped with a 15-meter main antenna, which was urgently upgraded with a 'feedhorn' antenna at the side of the main dish so as to transmit very low-power signals over a wide angle in the hopes of triggering a response from the satellite, ESA said. The transmit power was reduced in part because the receiver on Phobos-Grunt was optimised to receive only very weak signals when deep in space. Perth was ideally located to support Phobos-Grunt mission because the satellite's solar panels were illuminated by sunlight when overhead, giving a power boost to its systems. 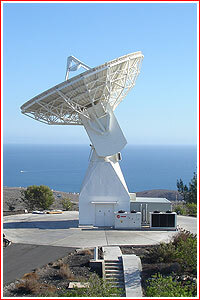 A Maspalomas ground station, equipped with a 15-meter ESTRACK antenna for communications with the orbiting spacecraft was located at the southern part of Gran Canaria island. The antenna was capable of receiving signals in S- and X-band and transmit in S-band. According to industry sources, the European assistance to Russia in tracking Phobos-Grunt was provided free of charge, partly in hope that Russian space agency would reciprocate with providing a costly Proton launch vehicle for the financially troubled ExoMars project. Establishing radio-contact with the spacecraft could be greatly facilitated by timely and accurate visual information about its orbital motion. However here too, operators of optical tracking facilities faced insurmountable problems. Such optical facilities as VKT Vismutin (also located at the IP-1 facility, Site 18, Baikonur) or KOS Sazhen (IP-3 facility, Site 97, Baikonur) could theoretically provide support, watching flashes of the spacecraft, however initial efforts to conduct visual tracking of Phobos-Grunt from Baikonur were unsuccessful. 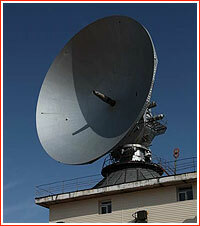 Russia’s military space-tracking network, SKKP, also proved to be powerless to provide much support. 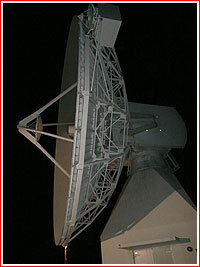 For example, the Okno optical complex in Uzbekistan, had limited capability in tracking spacecraft in low orbits, especially in the shadow or in daylight. According to earlier reports, the Okno facility was originally built for guiding anti-satellite weapons toward their targets in high orbits, such as the geostationary orbit with an altitude of 36,000 kilometers above the Earth surface. To recap, it is clear that Russian ground controllers were forced to work without adequate means and with little data to go by during their desperate effort to track and resurrect Phobos-Grunt. All data from tracking stations, Russian and foreign, was channeled to the ballistic center of Applied Mathematics Institute, IPM, within Russian Academy of Sciences. The institute also received data from telemetry in the first two hours of the mission. The organization used all this information to forecast the orbit of the spacecraft.